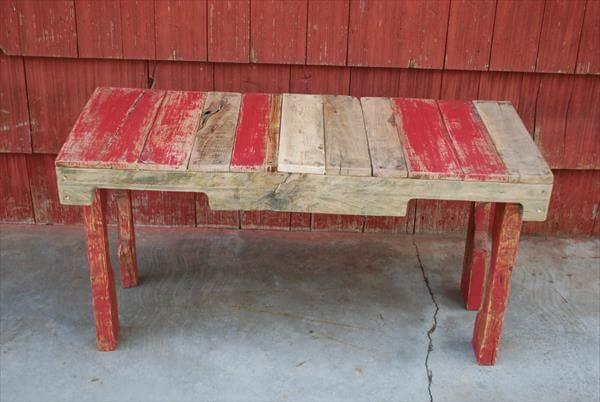 The pallet bench made from reclaimed pallet wood has a reddish rustic look and it makes a perfect patio seat. Add a pot of long leaved plants next to it and enjoy the red and green colors winking at one another. 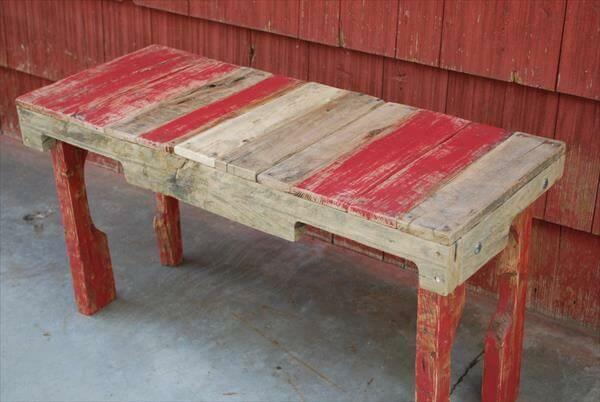 The upcycled pallet bench is ideal for the kitchen or a picnic in the garden. It is super easy to make and requires no fuss. 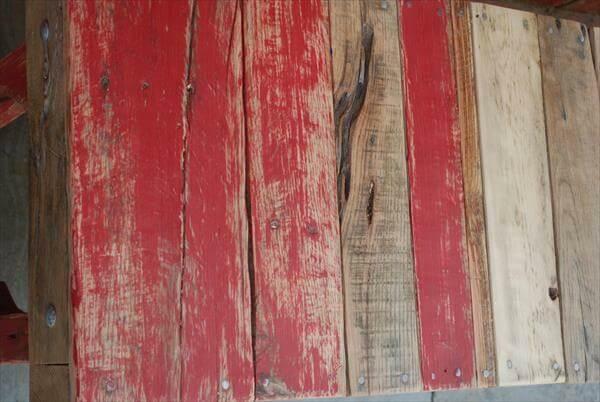 The design is a simple bench one with stain applied to some of the boards. The distressed look is made by sanding the edges, which makes for a splinter safe and smooth feel.